Maria Montessori developed her method to instill independence in students by cultivating and inspiring self-reliance and discovery. One way that we instill these principles into our students is through a community garden located on campus. 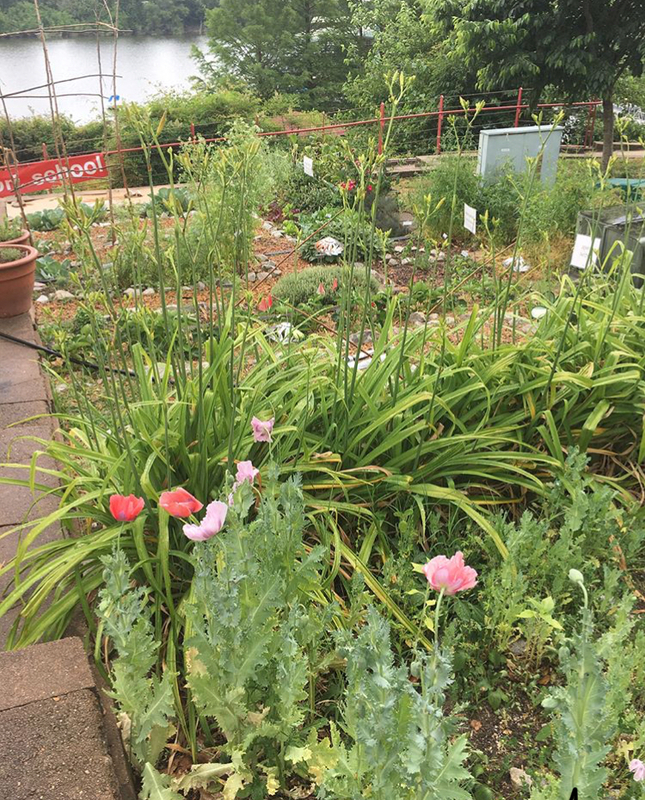 Our garden is designed to get students out of the classroom and into nature. In the morning, interested primary students take nature walks and discuss basic gardening concepts like plant species, shapes of leaves, insects and nectar. Students also begin learning the basics of planting by filling up containers with soil in the greenhouse. In the afternoon, elementary 1 and 2 students spend time weeding and tending to the garden in groups of three. MMS parent Stephanie Cosby leads this activity and encourages more parents to get involved! Stephanie, a painter, photographer and gardener, and her husband, a garden designer, have started PLANTS + PEOPLE, crafting beautiful, meaningful garden spaces to benefit both people and the planet. 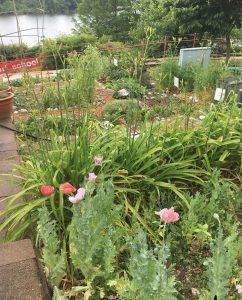 A special part of our garden is the butterfly waystation, full of plants that are known to attract butterflies. While this area is still relatively small, it will soon be full of beautiful monarch butterflies. Interested in keeping up with our blooming garden? 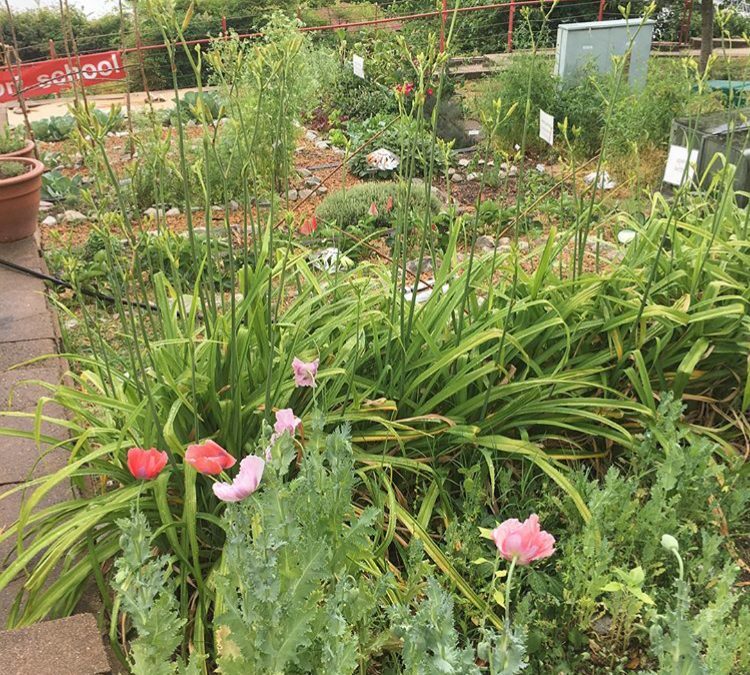 Check out #MMSgreenspace on social media as Stephanie documents the growth of the garden.